The ‘not so’ dog days of summer? Usually about this time of year we are starting to talk about Fall being right around the corner. Don’t get me wrong, Fall is my absolute favorite time of year to fish but let’s talk about the right now a bit. We have had some great fishing over the last few years since the drought. But, the last piece of the puzzle has been the summer time fishing. It just hasn’t been there for us. I think we’re seeing that come to an end and we’re seeing the river coming into its own again. As a paramedic, there is a time after a patient experiences cardiac arrest when we have regained pulses where we just have to sit and watch. It’s the longest few minutes I can barely explain, and then only to those who have experienced it too. You sit and watch with your hands in your pockets to see if they can hold their own without intervention. When they do, the tone changes dramatically. I kind of feel that the summer time fishing has been those few minutes we’ve needed to see if the river can hold its own. And in these last few weeks we’ve seen a river busting with life, cool clear water and some great fishing. As I sit and type this, we are coming off some really great time spent on the water. Some weather moved in yesterday that gave the watershed a good flushing and as always there will be a recovery time, but I’m excited and optimistic about what August and September have in store for us. The name of the game will be as it has been: start early and fish hard until the heat has sucked the life out of you. I know football is less than a month away but from a fishing stand point I’m looking forward to seeing how this summer pans out. Good weekend. 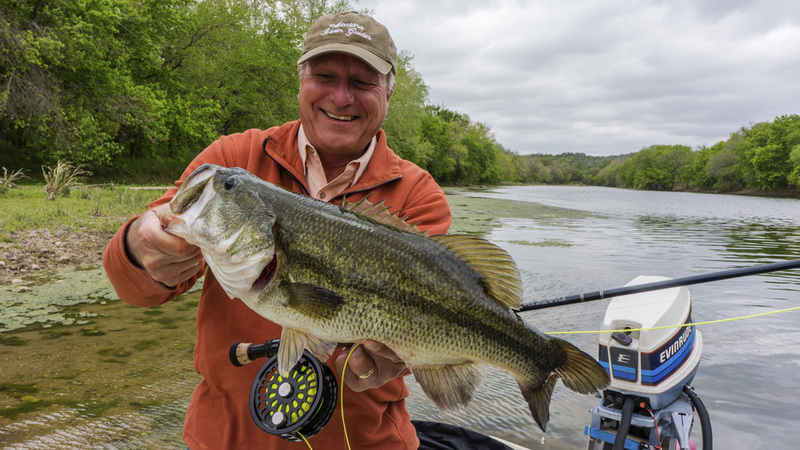 Between the state flower in full bloom and our state fish the Guadalupe bass in an eating frenzy, it's hard to beat central Texas right now. Many bass to the boat this weekend, heavy orange crayfish seemed to be the ticket. These things can't eat any more than they do, taking giant flies with live crayfish still in their throats. Lots of bent rods out there right now. Enjoy the Bananza. I have been on the water 27 of the past 30 days and I have to say spring fishing is off to a great start. Most of my time has been on the Colorado River. 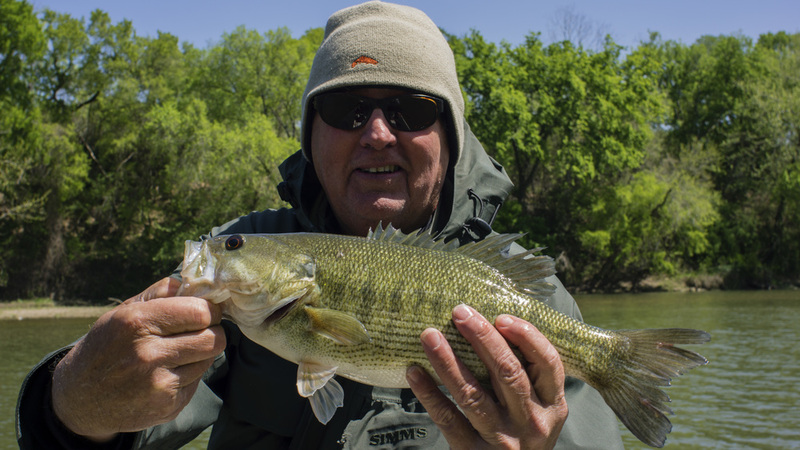 The water is low and clear and the bass have moved off the spawning beds and are feeding aggressively. We were starting to have quite a few good topwater days but a few recent cold fronts have slowed the surface activity. 80 degree temps the next few days should get the bass looking up again. 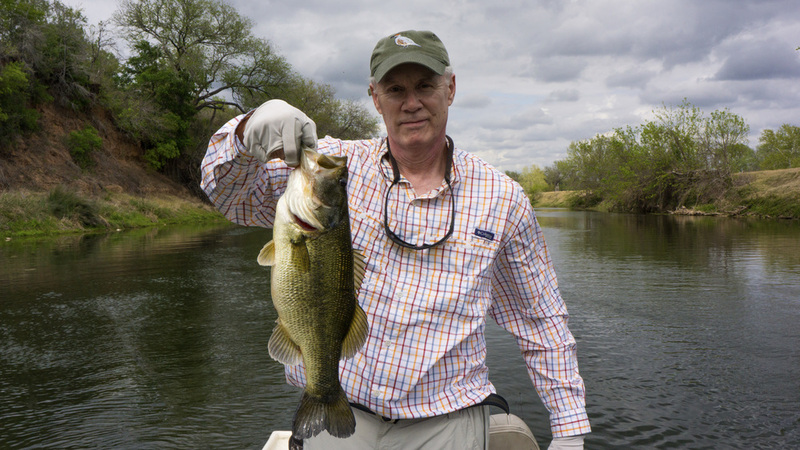 Most days we are catching quite a few Guadalupe Bass ith some as large as 3 pounds. we are also hooking and landing a few Largemouth Bass over 5 pounds. 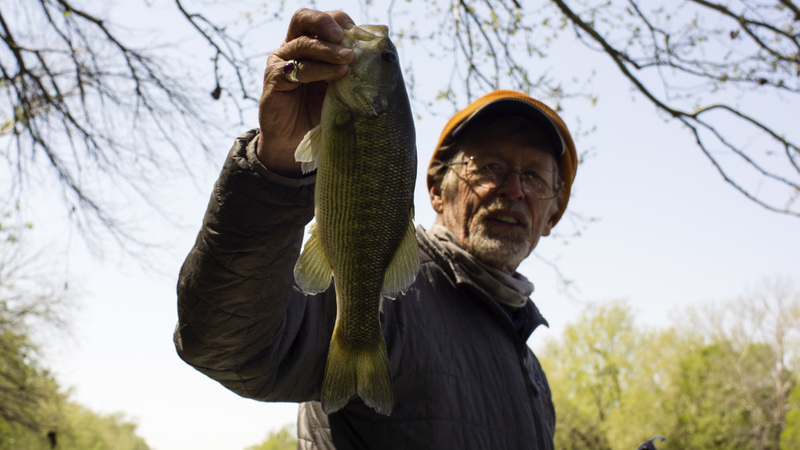 The next couple of months should provide some of the best bass fishing of the year. Good fishing in the last few weeks. This report encompasses the last 4 trips as they have all been similar. 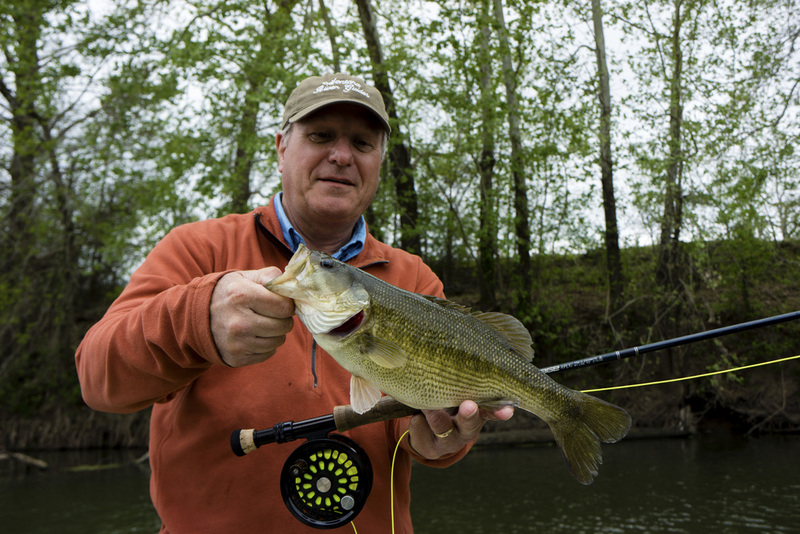 Due to the largemouth spawn, and lack of activity from the bucket mouth, we've been catching mostly Guadalupe bass lately. 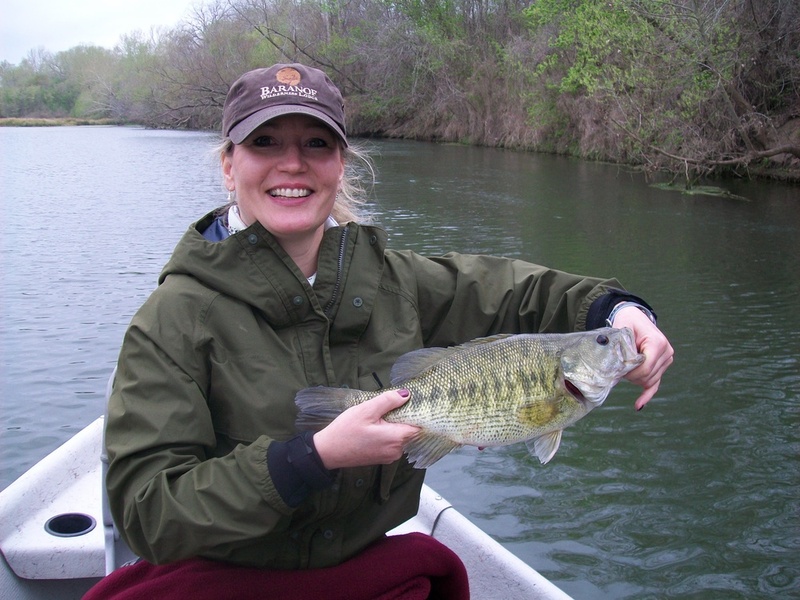 Most people who catch this species will tell you that they are more aggressive than the largemouth bass and fight a bit harder pound for pound. So there has been no lack of thrills out there. 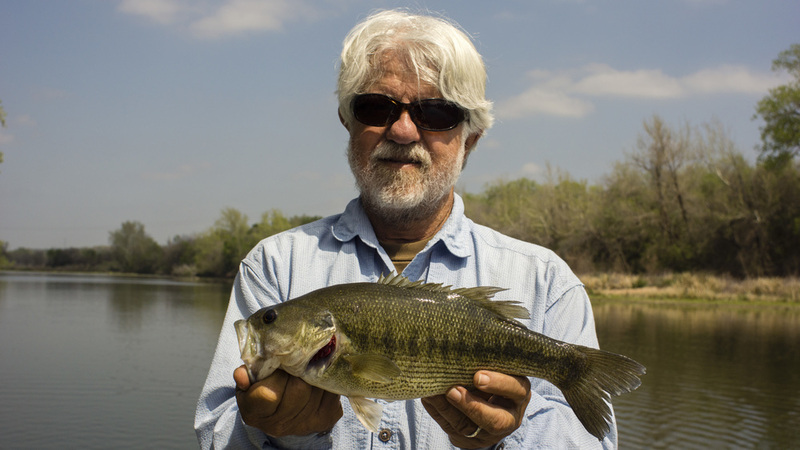 I personally have a love for this fish that dates back to the first one I ever landed back in the late 70s on the Pedernales river, near the state park. If your interested in catching this gem of a bass there is no better place on earth than the lower Colorado. JD and I hit the Colorado yesterday. We ran a few miles up river from Smithville and after the first sand bar we had the river to ourselves, as usual, on the Lower Colorado. The wind made it difficult but we managed to boat 15-20 fish in a few hours, with a handful of nice ones. LOW AND SLOW was the key yesterday. I used a 6wt with 150 grains sinker with a few different streamers having the most success with a Belly Dancer (no clue, it’s a Montana thing) but I liked it. The fish were where they should have been. I missed some nice opportunities and we both had some good thumps, a little wintertime rust I think. We were down to t-shirts and flip-flops by early afternoon and it’s only going to get better… Spring is near.